"We're not just any other faceless game company"
Faceless Games is a small one-man game creator based in Maryland. 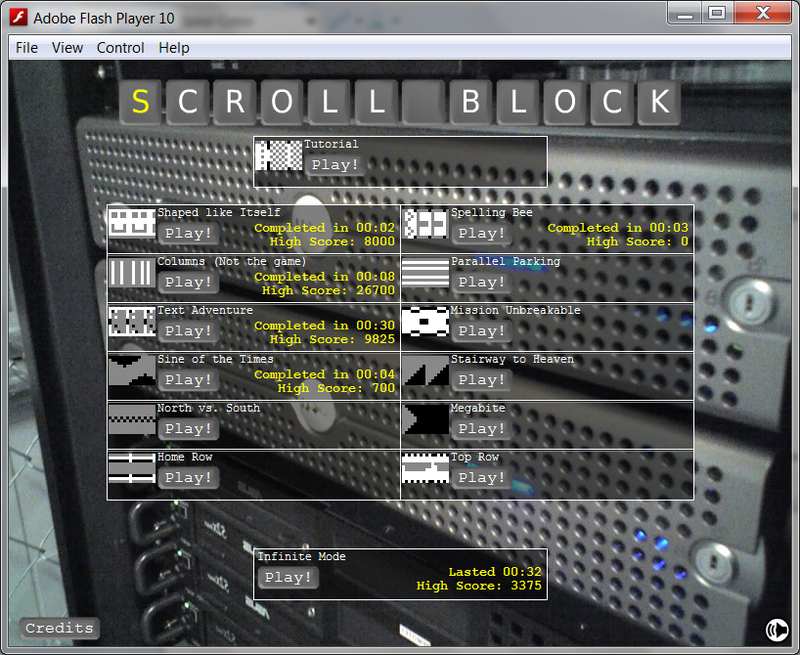 Here you can play any of the flash-based	games I've made. Imagine an ordinary block-breaking game like the classic "Breakout" or "Arkanoid". Now imagine that instead of waiting for you to break them, the blocks slowly move toward the paddle, like a side-scroller. 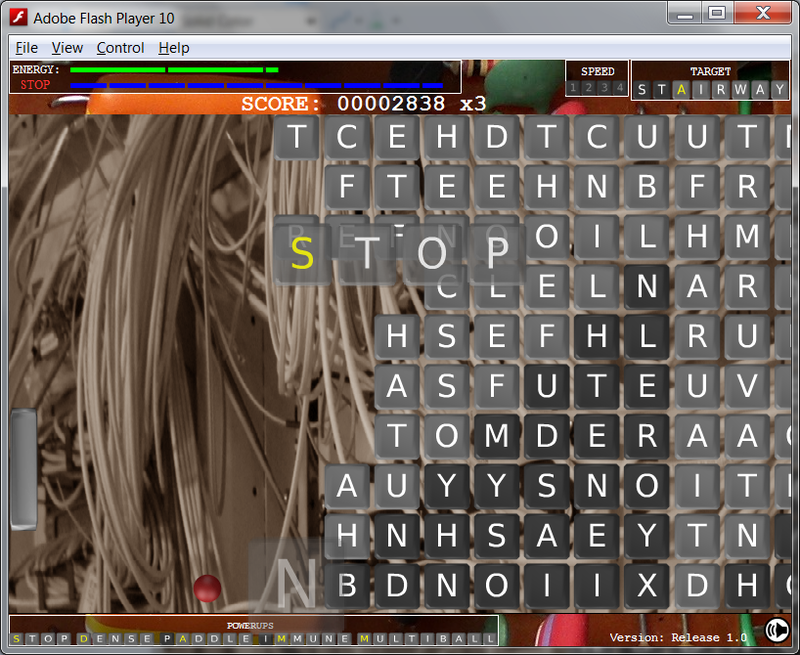 Finally, in keeping with the 'keyboard' theme, you have to knock out the right keys to beat the level. That's Scroll Block!